UPSC Assistant Commandant 2018 Apply Online for 398 Posts in CAPFs. UPSC Assistant Commandant 2018 Application has been released by Union Public Service Commission. Eligible candidate who want to apply for UPSC assistant commandant exam, may apply online through official website. The closing date to submit online application is 21st May 2018. After that link will be deactivated. The notification has been published on UPSC’s official website on 25th April 2018. There are total 398 posts of Assistant commandant in CAPFs. 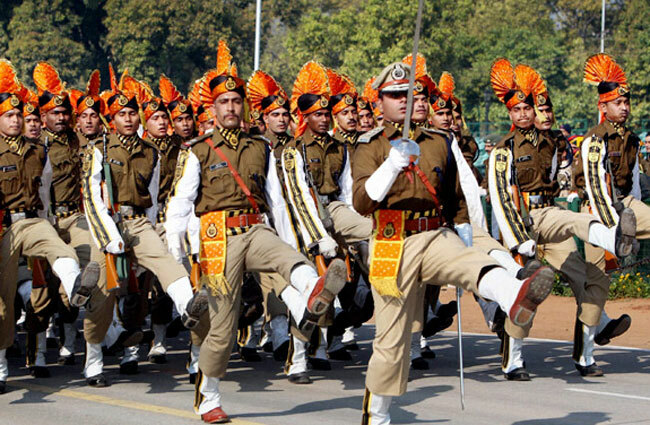 There are 60 vacant posts in Border Security Force (BSF), 179 in Central Reserve police force (CRPF), 84 in Central industrial security force (CISF), 46 in ITBP and 29 in Sasastra Seema Bal (SSB). A written examination is to be conducted on 12th August 2018 by UPSC to appoint candidates. About Exam: UPSC Assistant Commandant Examination is conducted by Union Public service commission to fill vacant posts of Assistant commandant in CAPFs (Central Armed Police Forces). The examination is conducted every year. Candidates are placed on the basis of written examination, physical efficiency test and personal interview. Educational qualification: candidate must have graduate degree in any stream from a recognized university. Mean who have done BA/BSc/BCom/ BCA or other bachelor degree are eligible to apply for this job. There are four steps in Assistant commandant selection process, written examination, physical efficiency test, personal interview and final merit list. The assistant commandant written examination is scheduled to be conducted on 12th August 2018. The examination consists two papers; paper I & paper II. Paper I will be held from 10 a.m. to 12.00 Noon and Paper II will be held from 2.00 p.m. to 5.00 p.m.
Paper I- The first paper which is general ability and intelligence is 250 marks question paper. These questions will be objective type questions. The medium of question paper will be Hindi and English both. Paper II – Second paper is General studies, Essay and comprehension of 200 marks. This paper allows writing and the medium of question answer is English only. Candidates declared qualified in written examination will be further called for physical efficiency test. Candidates who will be declared qualified in PET and medical test will be called for personal interview/personality test. The personal interview and personality test carry 150 marks. UPSC will draw merit list on the basis of performance in UPSC Assistant commandant 2018 written examination and personal interview for final selection. General & OBC category candidates are required to pay Rs.200 through SBI challan or online using net banking credit or debit cards. Female and SC/ST category candidates are not need to pay any application fee. Interested and eligible candidates may submit online application from 25.04.2018 to 21.05.2018. The online application form is available at upsconline.nic.in. Candidates must read all instructions before filling application.